Why social media is important to travel brands and how to use it to increase brand awareness and earn customers. There’s no denying that social media has had a dramatic impact on the way we experience the world around us. There are few industries, however, for which it has presented such a significant marketing opportunity as that of tourism. Social media and tourism marketing are indeed a match made in digital heaven. For starters, travel is one of the most shared topics on “The Big 3” social networks (Facebook, Twitter, and Instagram). People love sharing new experiences and travel is full of them. We also love telling our networks about our upcoming travel plans and reminiscing about them after we’ve returned. But how do you make the most of this powerful tool? How can you harness the natural urge to share about all things travel and use it to boost your bottom line? That’s exactly what we’re here to talk about today, so stay tuned and we’ll make a social media marketing expert out of you yet! Word of of mouth has long been the most effective form of marketing. Why? Because people buy from brands they trust. Whereas someone could very easily overlook your ad, a peer recommendation or review on social media could very easily get them thinking about how they could follow in their friend’s footsteps and live the same exciting experience they read such great things about. People tend to have a general distrust for ads these days. Social media allows you to bypass that feeling and jump straight to the point of being a trusted resource for adventure and excitement or rest and relaxation. Social media and tourism marketing don’t have to feel like advertising. Instead, social media allows people to share written testaments to your brand’s most amazing qualities, share pictures and videos of their experiences, and capture the heart and imaginations of their networks unlike any advertisement ever could. Before we get into how you can combine social media and tourism marketing in perfect harmony, we need to understand how social media has changed tourism marketing. The way travelers conduct their trip research has changed. Not only do they do almost all of their planning online, they often turn to social media to ask questions. You may not think of sites like TripAdvisor as the optimal social media platform, but it is absolutely a social network. Its 390 million unique users/visitors can attest to that. That said, more and more people are turning to traditional social networks to ask for support when planning their upcoming adventure. Documenting travel with smartphones and high-quality DSLR cameras has never been easier. Travel photos and videos are among the most popular types of content shared online, and the most popular places to share these are on the top social networks. Even those who aren’t posting media content are posting comments on Facebook or sending tweets out on Twitter about their experiences. Recently, social media platforms have also become an excellent resource for gathering information about destinations, accommodations, activities, dining, and more. While not necessarily specific to travel, Facebook’s Recommendations feature allows users to ask for advice from their peers. Users are gathering feedback from their networks on everything from hotels to travel gear to the destinations themselves. As you might imagine, staying within the familiar Facebook platform is far more appealing than having to scour new websites for the information. As such, many people are prone to seeking help on Facebook via peer recommendations, then using secondary sources to fill in the information gaps. Yes, countless travelers are deliberately turning to social media for help planning their trips, but social media is also a massive source of inspiration for would-be travelers without a destination. How many people daydream of leaving behind their routine for a week in paradise, but don’t yet know exactly where they’ll go, where they’ll stay, what they’ll do? Talk about the perfect opportunity to plant a seed in their eager minds that may eventually grow into a full-blown vacation! We’ll cover more on how to get your current customers sharing about your brand and planting these seeds in an upcoming section…stay tuned. One of the least talked about—but most important—ways in which social media has changed tourism marketing is in the ability to provide superior customer service. Social media allows brands to field questions, comments, and concerns in a single place, for as many hours of the day as they see fit, and showcase their professionalism at the same time. Directing your customers or potential customers toward a Facebook page, for example, gives you the opportunity to provide instant support via Comments or Messenger when issues arise. One of the additional benefits is that you can field these issues out in the open and develop a reputation of quality service and professionalism with both current and potential customers. Did you know that when people reach out to a brand on social, over 50% expect a reply? How about that number climbing to over 75% when they’ve reached out with a complaint? People expect your brand to hear what they have to say on social. In fact, the concept of Social Media Customer Service is such a big deal that we recently wrote a super helpful article on how to do it right. According to an article from Entrepreneur, travel agencies are still responsible for 55% of all airline bookings, and even more cruise and travel package bookings. However, with the ease of online bookings, they’ve had to move to an online model, one that can benefit greatly from the patterning of social media and tourism marketing. 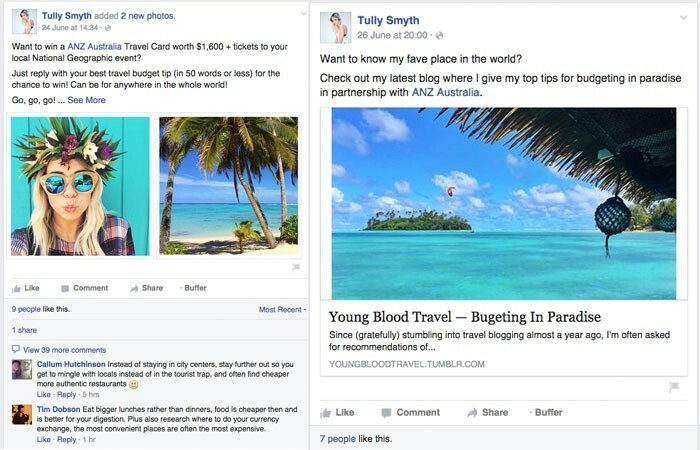 In order to stay relevant, online travel agencies should be using social media to showcase their abilities to provide their customers with unique experiences that one may have trouble securing without professional help. As millennials take on more and more of the travel population, working to meet their unique needs should be a top priority. Millennials continue to demonstrate an appreciation for experiences over material things, so taking a page out of the AirBnB playbook is a great start. Rather than simply hosting guests in accommodations, the massive booking service has recently added experiences to their list of offerings. Travelers can hire locals to show them the unique locations, activities, or people that make their destination so great. Travel agencies are the original experience brokers, so reinventing the types of activities they’re able to arrange for their customers will help to keep the business relevant in a largely self-service travel industry. Remember, help people do things that they want to but may not otherwise be able to do themselves and you’ll always be in demand. Last, but not least, we have social sharing programs. You’re not the only one who realizes how valuable your customers’ positive reviews are. Most travelers also understand that their words are worth a pretty penny for the brand they mention. In fact, many of today’s travelers already expect to receive some form of compensation or benefit in exchange for their review or share on social media. As such, people are familiar with the steps of posting, hash tagging, and verifying their share with a hotel or attraction staff in order to redeem their reward. This simply didn’t exist a decade ago, but today your brand is missing out if you’re not taking advantage of people’s willingness to share with their networks. The benefits greatly outweigh the costs, so what do you have to lose? Now that we’ve covered why social media and tourism marketing go so well together, let’s look at ways you can use social media to boost your brand awareness and your profits. We just finished talking about sharing programs, so let’s pick up where we left off. You’re far more likely to have your customers sharing about your brand if you’re actively incentivize sharing, this we know. So what kind of incentives are we talking about? For example, your hotel could give out a free drink from the bar, breakfast from the restaurant, tickets to a cost-effective local attraction, or complimentary shuttle to the airport when they leave. Remember, you’ll only get the extra shares if you ask for them. There’s no point in implementing an incentive program if your customers don’t know about it. In our hotel example from above, you might post signs at the front desk, the tables in the restaurant, on the bar, in guest rooms, and so on. You would also want to email new guests (via the email they used to book their room) on the day after they check in. Think twice about posting your social sharing rewards program on your social media accounts as it may put off potential customers who have yet to experience the excellent experience you provide your customers. You don’t want to come across like you’re buying the reviews that helped influence their decision to patronize your brand. After all, that’s not what your sharing program is about. You’re goal is to get more people sharing honest reviews and social posts about their experience with your brand so you can increase your overall exposure and brand awareness. Don’t create a program where your customers have to leave a 5 star review to earn their incentives. Instead, get them to post interesting photos or videos that are relevant to your brand and industry with a unique hashtag. Make sure they tag you in their post so their networks are exposed to your business. Another excellent way to stay ahead of the game is to prepare for the inevitable. No business in history has been able to please every single customer. There will always be those that encounter problems or are just looking for a reason to complain. Instead of simply letting them do so, be prepared to respond in the best way possible. Be prepared for every possible problem you can imagine going wrong and train your teams to handle them with aplomb. But what if they haven’t contacted you directly? Well, we have something to help you with that as well. Social listening is the active monitoring of social channels for mentions of your brand name. It’s a great way to catch those who haven’t actively reached out with a formal request or complaint, but have mentioned your brand in a negative tweet or Facebook post, for example. Wow those who never expected a reply by responding with a solution to their problem. You’ll likely be able to recover from an otherwise negative situation, turn a disgruntled customer into a raving fan, and show their network that you’re brand goes above and beyond to deliver the ultimate customer experience. Another great way to use a variation of social listening is to discover travelers who are planning a trip to your city or town. Searching for hashtags related to your location will inevitably help you find people still in the planning stages of their trip. We’ll cover more on creating content to support your social media and tourism marketing in the next section, but this is a great time to provide your insider’s guide to your city, a visitor tip sheet, or an itinerary planner to these soon-to-be visitors. You’ll be fostering a relationship, building trust, and opening up to the type of customer experience they can expect from your brand. However, we’re here to talk about content types that reach beyond the blog. One of the best ways to provide upfront value to would-be customers is via downloadable resources like the guides, tip sheets, and sample itineraries we mentioned above. The hotel from our example may decide to create a sample itinerary based on their buyer personas. For example, a hotel who caters to couples could put together a sample itinerary for the perfect romantic weekend getaway that included the best romantic restaurants, the best places to catch a night of cool music and drinks, and the perfect venue to watch a sunset. You get the picture. 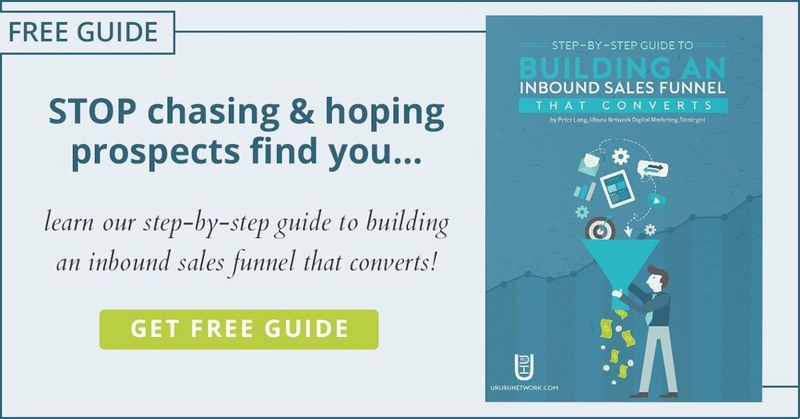 You can then share these guides, offers, etc., with prospective customers whom you’ve found via social listening and start providing value without them feeling like they’re being sold. The more value you can provide upfront, the more likely you’ll be to earn people’s trust and the more likely they’ll be to buy from you. We can’t talk about social media and tourism marketing without covering the social networks themselves. Let’s take a look at some of the best ways to use social media to increase brand awareness and earn customers. Today’s traveler does more research about their destination than any generation before, but their attention spans are shorter than ever. That means creating content in ways that deliver the most information in the shortest amount of time, all the while engaging their audience. Let’s look at a few ways to do just that. If there is one social network that is worth learning now, it’s probably Snapchat. That is, if you’re interested in targeting younger travelers (think: millennials, Gen Z). It’s the fastest growing social network at the time of this writing and could be well worth integrating into your social marketing strategy. Snaps are quick snippets of what’s happening right here and now. It gives your following the most authentic view of what goes on behind the scenes at your organization. These insights could be the foundation of a trusted relationship that converts potential travelers into paying customers. Twitter is a tried-and-true method of reaching potential travelers. Tweets are 140 characters and allow you to voice short travel tips, specials, and promos, or even photos and videos related to your brand. Twitter is one of the most popular platforms for social listening and establishing a social media customer service handle. If you’re going to participate, you’ll need to have an active Twitter handle that’s regularly updated with engaging content. To make the most of each tweet, remember to consider who you’re speaking to. Don’t post travel tips about your destination unless they apply to the personas you’re marketing to. For example, you wouldn’t post family friendly travel activity ideas if you were targeting couples for romantic getaways. While you may already be posting regularly to your Facebook or Instagram accounts, consider going live on a regular basis to give your audience a firsthand look at what’s going on behind the scenes in the tourism and travel industry. Live videos are becoming more popular and receive priority in Facebook’s newsfeed. Going live is a great way to get peoples attention, just be sure you have something fun and exciting to share. Lucky for you, travel brands have far more exciting things to share than many other brands. Whatever makes your brand fun, unique, and exciting, be sure to share it with the world! If you cater to business travelers, LinkedIn groups are a great way to reach out and offer some no-obligation value to travelers visiting your town or city. Linkedin groups exist for users to come together and share information about most topics business, including travel. These groups are, however, put off by anyone coming in with the obvious intent to sell themselves. Remember that they are there to serve as a safe place to share information, and that’s all you should be there to do. When it comes to social media and tourism marketing, there a few tools that you can use to make your job a little easier. Hootsuite is a great tool to help optimize your social listening activities. It helps you monitor multiple social networks at once, saving the hassle of sifting through each platform on a daily basis. It has a plethora of other functionalities that will help your social media marketing across the board, so be sure see if it fits your needs and can help your organization. BuzzSumo is a great tool to understand what’s trending on various social networks. If certain types of content are especially popular and receiving plenty of shares and like, for example, you would be well served to emulate that content when creating your next blog post, YouTube video, Instagram photo, or snap. Like Hootsuite, it comes packed full of additional tools to help optimize your social media marketing. We can’t talk about social media marketing tools without talking about Buffer. It’s another all-in-one social media marketing tool, chock-block full of handy features to help you make the most of every social media marketing action. For more on what Buffer can help you achieve, check out their website. Social media and tourism marketing are undoubtedly a perfect match. The important thing to remember is that, like any marketing, you’ll need to be consistent. Create engaging content on a regular basis, conduct social listening often, and if you move your customer service to a social media platform, be sure to respond to everything as quickly as possible. If your brand isn’t as social media savvy, this is the time to start learning this environment. Social media is only going to become a bigger part of the way our society communicates, which means it stands to become an even more important part of the marketing landscape. If you’re a sophisticated social media marketer, you already understand this. You also understand that it’s up to you to stay ahead of the curve and up to date with the most popular trends in social. Learning the newest functionalities of your most productive social platforms should remain a priority. Always be testing new tactics and work to optimize the way you market on social media. Social media and tourism marketing will undoubtedly be a part of your future. It’s up to you to decide just how much!